If you need to leave a message it’s because we’re out there doing what we love to do, but we’ll call you back as soon as we get in. 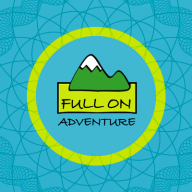 We’re good at getting back to people quickly, going the extra mile to make people’s adventures the best ever, we can’t wait to get out there on a Full On Adventure with you! Additional contact / booking office information. 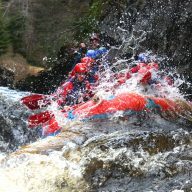 Our office address is Full On Adventure, Adhara, Carrbridge, Inverness-shire, PH23 3AX, UK. 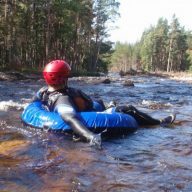 Our trading address (but not meeting location) is Full On Adventure, 24 Cairngorm Avenue, Aviemore, PH22 1RY, UK. Post can be sent to either of the above addresses, we prefer deliveries direct to Carrbridge address. All direct bookings we take are done by internet, phone or email, we do not opporate a staffed shop front booking office at either of the addresses above, however for last minute bookings when you are in Aviemore you can book many of our activities at the Rothiemurchus Visitor centre in Inverdruie (Aviemore) PH22 1QH. Location of that staffed booking office is about 5 minutes drive from Aviemore centre, just take the Ski Area/ Glenmore road from the roundabout on the Aviemore main street ( roundabout with Italian restuarant) and follow that for about 5 minutes then just after Tree Zone on your left you will find the Rothiemuchus Visitor centre.